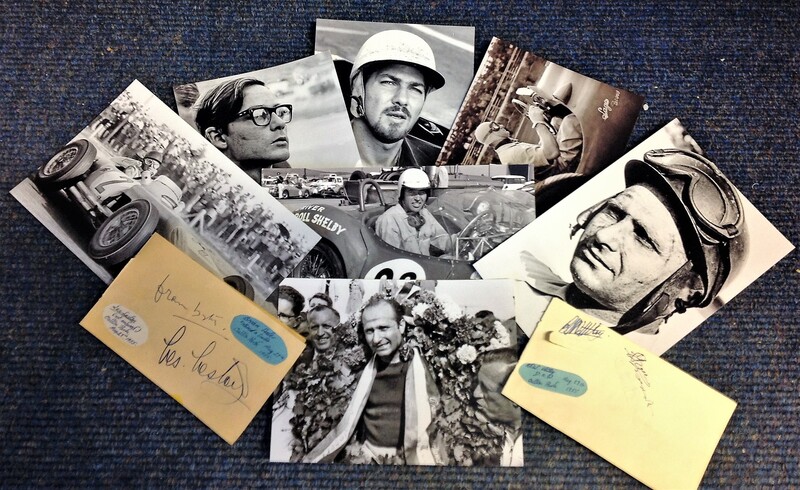 Motor Racing collection includes 7 unsigned b/w photos pictured legends such as Fangio, Carroll Shelby, Joachim Bonnier, Louis Rosier, Gregory Masten and six signatures from drivers racing at Oulton Park in 1955 Jean Lucas, Brian Lister, Les Lester and Jim Purcell. Good Condition. All signed pieces come with a Certificate of Authenticity. We combine postage on multiple winning lots and can ship worldwide. UK postage from £3.99, EU from £5.99, Rest of World from £7.99.